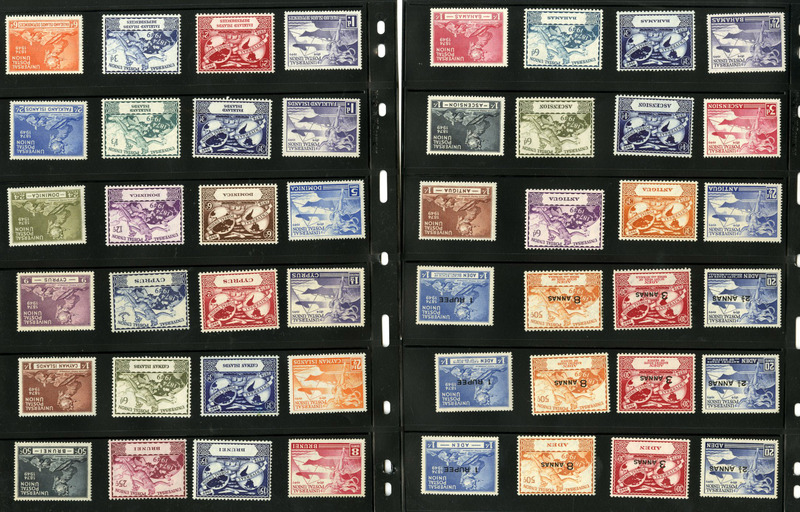 1949 Universal Postal Union, collection on pages, with British Commonwealth Omnibus set, French and Portuguese Colonies, Germany Berlin Stephan set, Monaco perf. and imperf. (singles and pairs), also two perforated and gummed souvenir sheets, imperf. deluxe sheets, Hungary booklet, plus perf. and imperf. souvenir sheets of four (C81), San Marino set of four perf. and imperf. souvenir sheets of four, etc., n.h., fine-v.f.